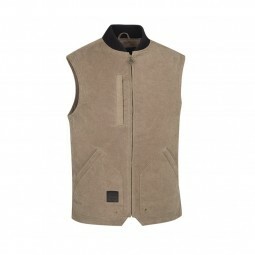 A cool waxed cotton vest with a rib knit collar. Fixed lining; 3 exterior & 1 interior pockets; Side adjustment zippers; rib knit collar; antique brass snaps, rivets and zippers; embossed leather patch on front; woven patch with small printed logo on back neck; Outshell: 94% Cotton 6% Polyester. Lining: 100% Polyester. 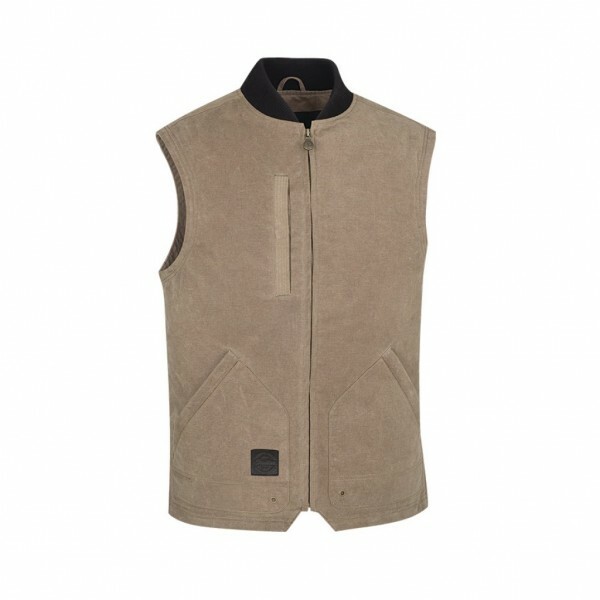 Weiterführende Links zu "WAXED VEST"